The World Teleport Association (WTA) has announced that Arqiva Satellite & Media’s Chalfont Grove Teleport (London) has achieved Tier 4 Full Certification under WTA’s Teleport Certification Program—Tier 4 is the highest level of certification available under the program. The program proceeds through two phases. Teleport operators apply for provisional certification by completing a +170-item questionnaire and submitting this self-reported data to WTA. The Association analyzes the data based on standards established by its Certification Committee and issues a Provisional Certification. The teleport then has six months to achieve Full Certification, which requires a thorough site inspection by a WTA auditor to validate the information in the questionnaire and identify additional factors that may positively or negatively affect the score. Full Certification is issued at a Tier number from 1 through 4, of which 4 represents the highest degree of excellence, and remains in effect for three years. The auditor also provides a report recommending additional improvements that can maintain or raise the facility’s performance. For more information about the Teleport Certification Program, visit worldteleport.org/?page=Certification. David Crawford, the Managing Director, Satellite & Media, Arqiva stated that customers expect the best so it was an easy decision to begin the WTA teleport accreditation process starting at the Chalfont Grove facility. 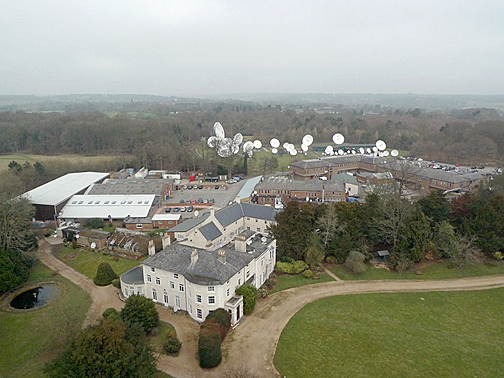 Chalfont is home to Arqiva's play out operations, part of the fir's vast uplink and data centre resources as well as being a key node on their multi Tb fiber network. Achieving a Tier 4 rating, the highest of four quality tiers, is a significant accolade but the company must continue to invest in those areas to ensure that the firm remain the industry leader—by any benchmark.